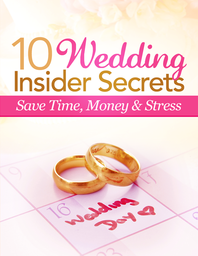 Be prepared and take off some of the stress when planning your wedding. Here are 10 INSIDER SECRETS from an experienced DJ Entertainer for you absolutely FREE. Just provide the information below and we will get it to you within 24 hours. This is a MUST HAVE when planning your wedding!